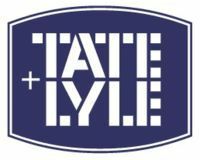 Tate & Lyle produces an estimated 4m tonnes of cereal sweeteners and refines over 2m tonnes of sugar each year sold into around 35 countries. It has a sizeable global presence in cereal sweeteners and starches, sugar refining, value added food and industrial ingredients and citric acid, as well as industrial starches and wheat proteins. Tate & Lyle's main appeal for a potential stakeholder is the fact that it is the sole manufacturer of sucralose sugar substitute, Splenda.